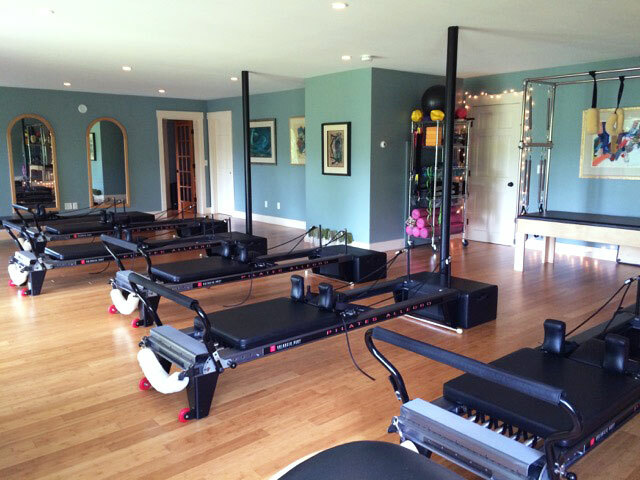 Zoe’s Pilates is 1000 square feet of bright open space that provides an inspiring and uplifting place to move. The studio is mirrored to help with form and balance and has three walls of windows that provide lots of natural light. There is also a changing room and full bath. Zoe's Pilates carries select items and products to complement your practice and lifestyle from some of the highest-quality purveyors. Come on in! Zoe’s Pilates is located on Gold Hill Rd, 0.4 of a mile up The Sugarbush Access Road. Parking is on the right as you crest the hill of this quiet dirt road. Once parked, follow the beautiful stone stairs down from the parking lot to the studio entrance.